TME’s offer has been enriched by a range of RJF series RJ45 industrial connectors from AMPHENOL, designed to be used in harsh conditions. The connectors are IP67-compliant and protected against shock and vibrations. In order to install a standard RJ45 Cat 5e plug on a stripped wire, you don’t need any tools. 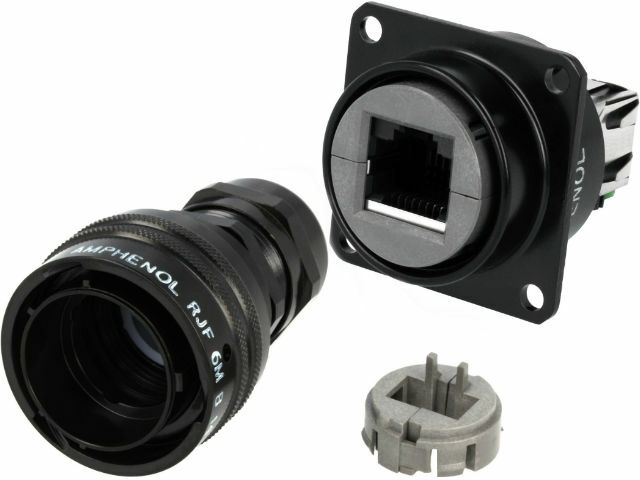 The casing of the RJ45 plug features the quick bayonet locking system (1/4 rotation).